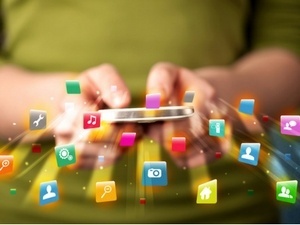 While using a mobile app, users lose their focus in approximately 8 secs. When we add the rate (23%) of the users who quit the mobile apps after using one time, it is revealed that considering user interaction with personalization is important in order to maintain the sustainability of the app. Taking into account all of this, we can say that personalization is extremely important for mobile app owners. Upgrading the life cycle and the interest level of the app is possible by increasing user interaction with personalization. So, how can you do personalization and what should be considered to increase the user interaction of the app? Personalization can move further than customizing in view of making your users feel special. If users can find the content they wanted according to their previous usage styles, preferences and location, it may positively react to their interaction with the app. At this point, if you provide a personalized mobile app experience to them, then there is a chance for you to create a faith bond with your users. Referral post: How to Make Money with Mobile Apps? Collecting data about your user’s previous interactions with your app may help you to section your users on accordance with their activity levels. While sectioning, you can use such data as login frequency of your users, how much time they spend on your app, demographic characteristics and which segments are used in which frequency. After analyzing the collected data, you can make sense of the relationship between the users and the app and section them into groups that represent similar user habits. Then you can easily personalize your mobile app in accordance with their characteristics and expectations. Push notifications that are personalized for the user groups separated according to the usage characteristics can be a great way to remind several features of your app. Push notifications such as “We miss you”, “Do you have time to level up?” or for a bank app “Would you like to check your wealth?” may help you to increase the interaction level of your users. Real-time posts that are sent according to the current activity of the user may be extremely effective in increasing the interaction. For instance; an invitation can be sent to the user that positively filled a survey about customer satisfaction for him to rate your app in the store because a user that spared time for the survey has probably time for rating in the store as well. Also sending a message or a special offer demanding more information by which he can express his complaints, can be an effective way to solve the problem and increase the interaction. Personalization is one of the most effectual ways of increasing brand faith and user participation. You can create a long-lasting base for your app that offers special experiences to your users and has a growth potential. However, if you still do not have a mobile app, you can easily have your own mobile app via MobiRoller. Have your place in the mobile world by creating your MobiRoller account as soon as possible.